Daevyd Pepper is known for his engaging stage presence and musical sensitivity. Daevyd is currently finishing his BFA in Classical Vocal Performance at York University. Performances include York University’s Dido and Aeneas (First Sailor) and Carmina Burana (Swan Soloist), as well as Basilio (Le nozze di Figaro) and Oronte (Alcina) with Summer Opera Lyric Theatre. In October 2014 he performed in the chorus of Opera Atelier’s production of Handel’s Alcina. In 2012 he had competed in the Newmarket Voice Festival receiving the “best Male Vocalist” award and placed second for the 2nd year post-secondary male category of the regional NATS competition. 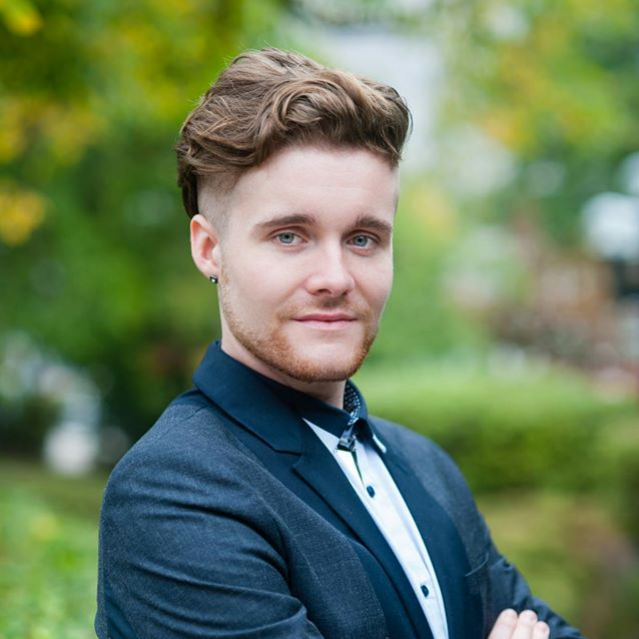 In November 2014 he placed first for the 4th year post-secondary male category at the NATS competition and performed as the tenor soloist for CPE Bach’s Magnificat. His upcoming performances include Mozart’s Requiem with the King Edward Choir in Barrie, and Ferrando in Mozart’s Così fan tutte in two productions: one in Toronto as well as one in Sulmona, Italy with the Centre for Opera Studies in Italy.